Our well-trained team has extensive experience applying epoxy flooring in garages and other residential areas. There are an endless number of ideas for home epoxy flooring applications. 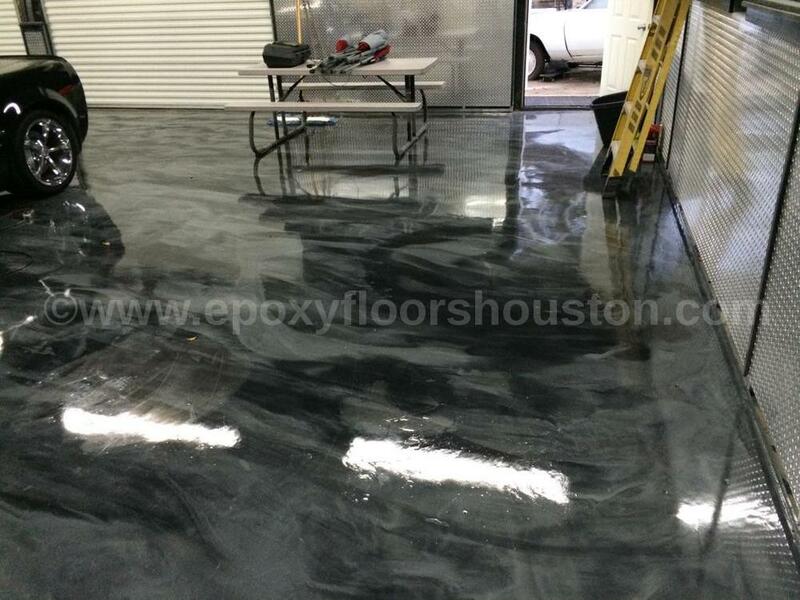 We can assure you will be impressed with the epoxy floor coating in the location of your choosing. You may be surprised by how affordable you will find epoxy flooring. Call or email us to receive a free estimate. 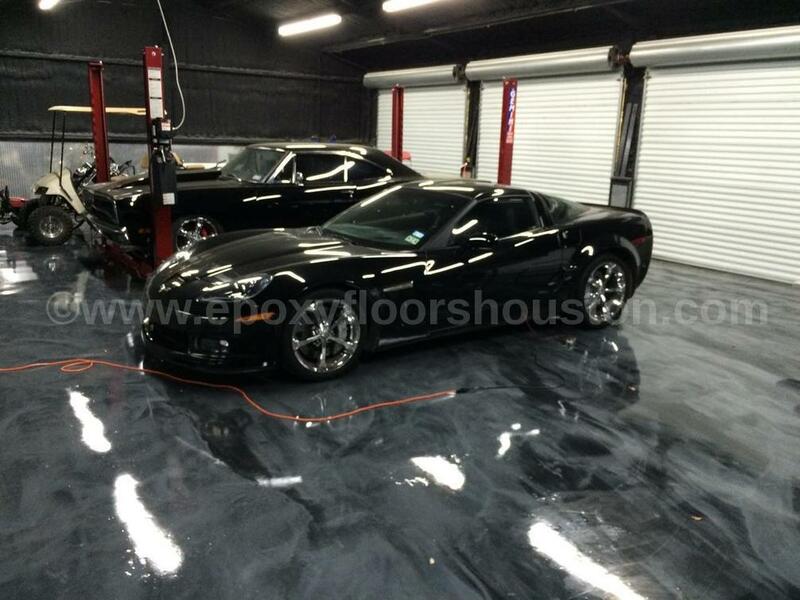 The most popular applications of epoxy flooring are found on the floors of residential car garages. There are a variety of epoxy styles and colors from which to choose. You will be proud to showcase the garage that was transformed with beautiful flooring. 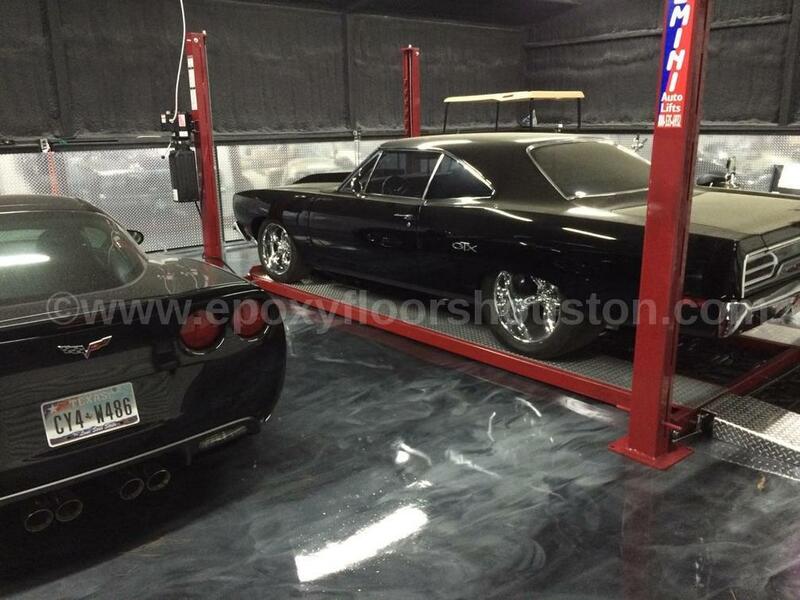 A finished epoxy coating gives the garage an attractive high gloss. Being easy to clean is one of the benefits of epoxy coating. You will no longer be required to sweep dirt out of cracks. Easily wipe debris and dirt from the seamless surface. Also, the new epoxy flooring in the garage can be slip resistant with the help of decorative chip flake flooring. 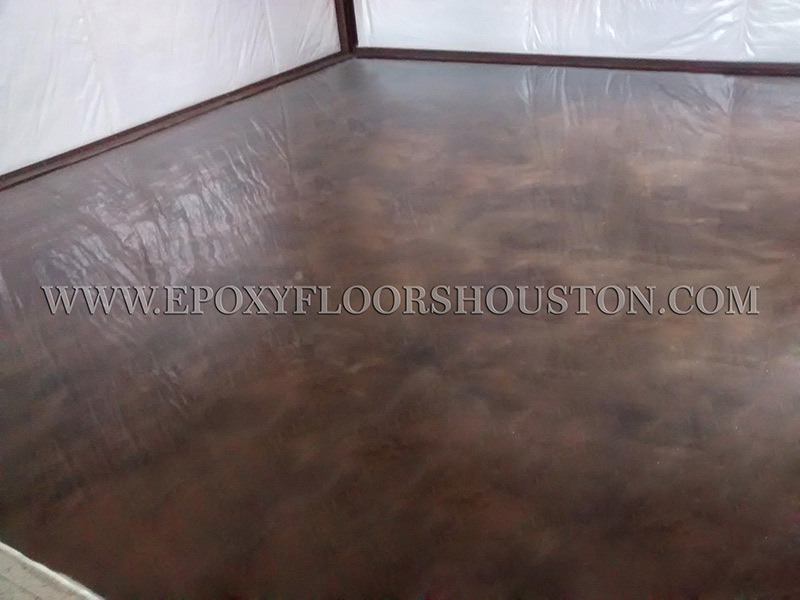 Your guests will see epoxy flooring in the kitchen as a conversation piece. Epoxy flooring in the kitchen not only looks amazing but comes with many functional benefits. Staining and moisture are locked out by the sealed epoxy coating. The smooth finish makes cleaning incredibly easy. Dirt that could be ground into tile grout is eliminated. Putting an attractive and durable epoxy floor in the kitchen means sealing tile grout is no longer necessary. Whether you are remodeling a kitchen or need a new home epoxy application, please contact us for your residential needs. Our team helps choose high-solids epoxy flooring that fits perfectly into common living areas. We are finding more and more people who are in the process of transitioning from traditional tile or carpet to an epoxy coating. The two biggest reasons are the ease in cleaning and hypo-allergenic needs. The texture of the epoxy flooring is smooth, yet can be slip resistant. Cleaning is a breeze. Little debris, dust, or dirt remains after an epoxy surface has been cleaned. That characteristic explains how hypo-allergenic needs are met. An epoxy coating protects against pet accidents and spills. You no longer have to worry about scratching the floor with furniture. Your investment is protected by durable and beautiful epoxy flooring. The traffic marks that show up on carpet do not occur on epoxy coated surfaces. When you would like to be relieved of worries associated with wood, tile, or carpet, call us.